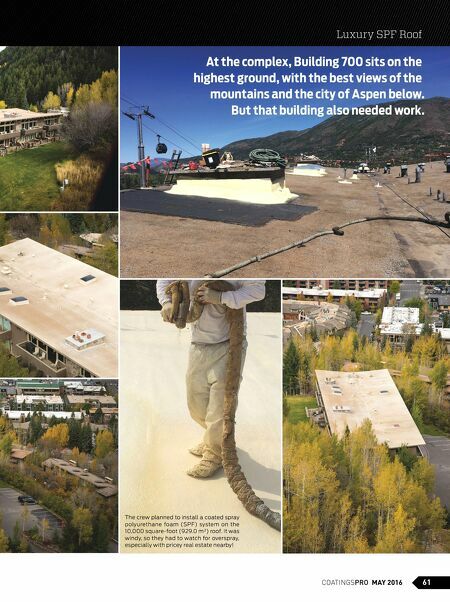 The crew planned to install a coated spray polyurethane foam (SPF) system on the 10,000 square-foot (929.0 m²) roof. It was windy, so they had to watch for overspray, especially with pricey real estate nearby! 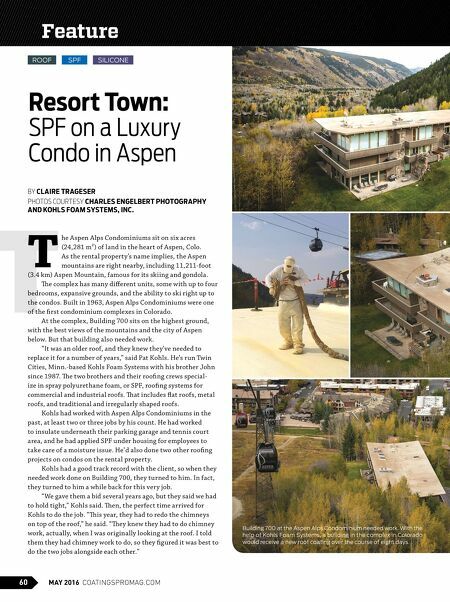 COATINGSPRO MAY 2016 61 Luxury SPF Roof At the complex, Building 700 sits on the highest ground, with the best views of the mountains and the city of Aspen below. But that building also needed work.